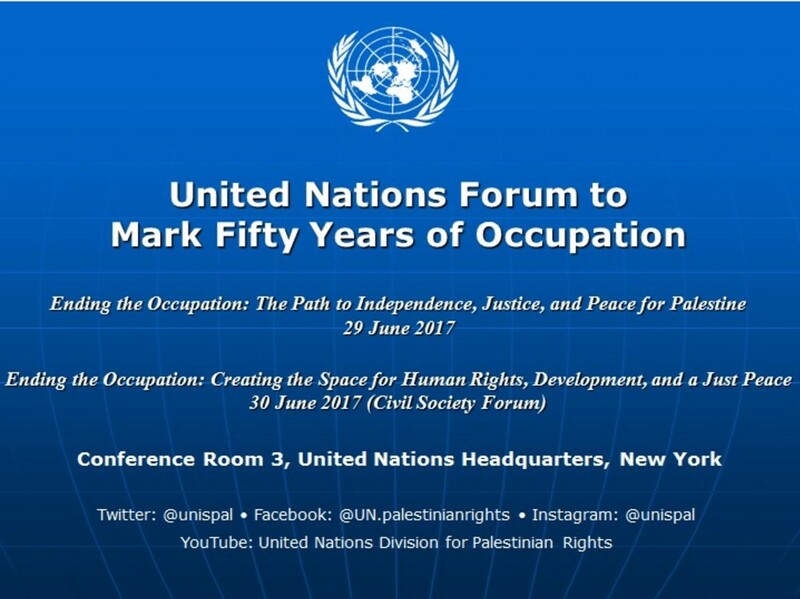 To mark fifty years of the Israeli occupation that began in 1967, the Committee on the Exercise of the Inalienable Rights of the Palestinian People will convene a two-day forum at the United Nations Headquarters in New York in June 2017. A day-long event entitled “Ending the Occupation: The Path to Independence, Justice and Peace for Palestine” will be held on 29 June, followed by a civil society forum entitled “Ending the Occupation: Creating the Space for Human Rights, Development, and a Just Peace” on 30 June. The forum is being organised in accordance with General Assembly resolutions 71/20 and 71/21 of 30 November 2016. It will bring together international experts, including from the State of Palestine and Israel, representatives of the diplomatic community, civil society, as well as academics and students to discuss the ongoing occupation in a series of moderated interactive panels. The forum is open to the public and registration is on a first come first-served basis. 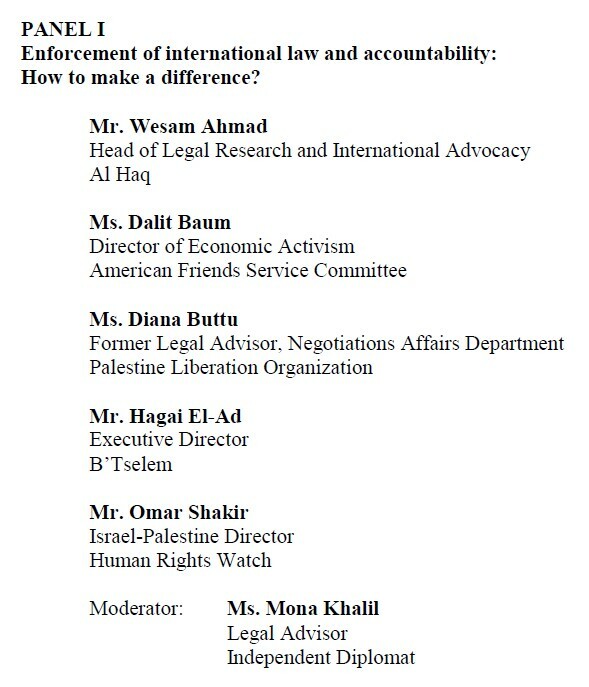 Al-Haq will participate in Panel I, on 30 June, titled: Enforcement of international law accountability: How to make a difference?